Learning and Practicing Tae Kwon Do has completely changed my outlook on life... 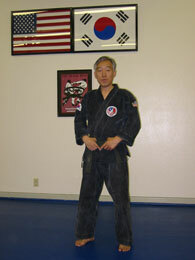 Whether you are young or old, now is the perfect time to begin training in Tae Kwon Do. Practice in Tae Kwon Do provides: self defense, physical fitness & exercise, weight loss, relaxation, and a refreshing new outlook on life. The ultimate in self-defense skills. Keep a thankful mind repaying those who help you. Do the best you can at the present moment. Set your goals and look towards the future.